7 Best Keto Cookie Recipes - "Easy to Bake" - Low Carb & Delicious! 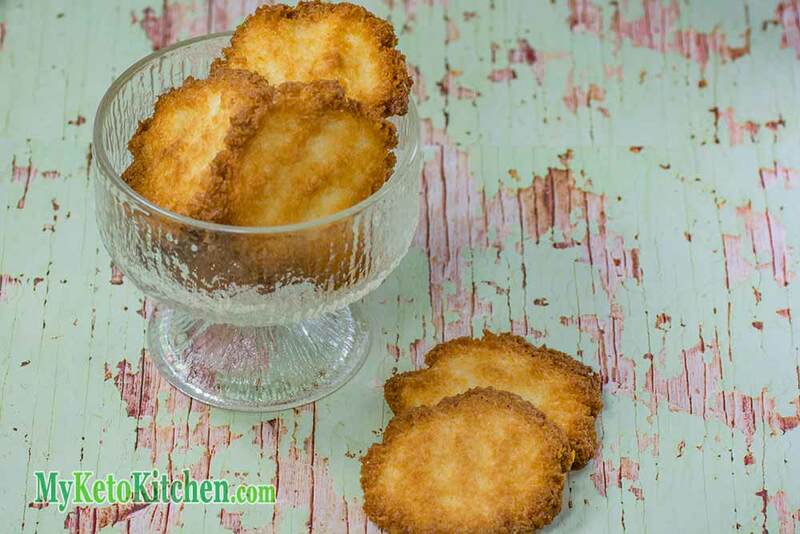 Home » Collections » 7 Best Keto Cookie Recipes – Easy to Bake at Home – Low Carb & Delicious! Delicious keto chocolate chip cookie recipe. This tasty variety of homemade Keto Cookie Recipes is bound to put a smile on your face. 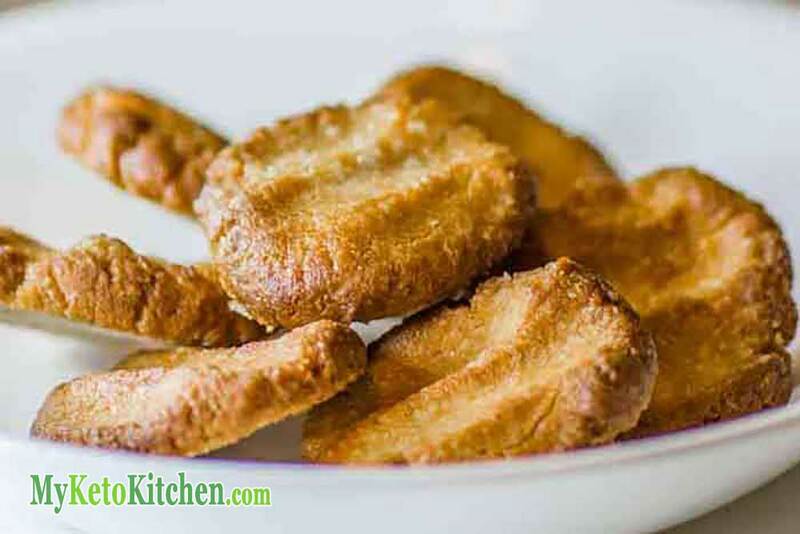 Listed in no particular order, simply click the image or link to go to the recipe card of your favourite Keto Cookies. 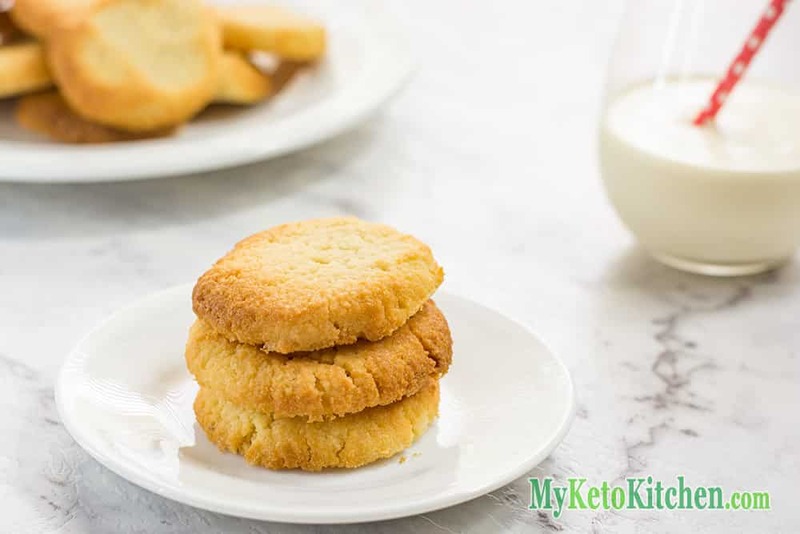 Another favorite is our Keto Shortbread cookies. Not only are they a great snack they’re gluten-free cookies as well and make an excellent keto pie base or cheesecake base. 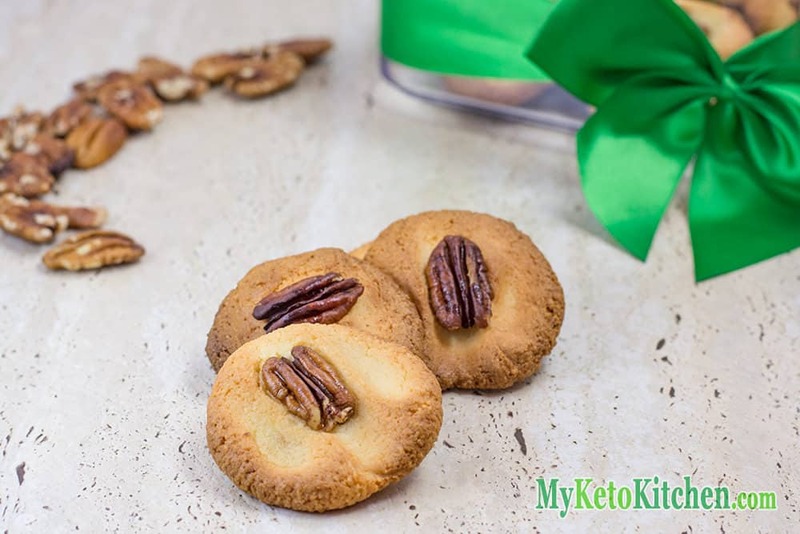 Utilizing our delicious Shortbread keto cookies recipe above you can make a fancy pecan version. They’re also gluten-free cookies, and your paleo friends will love them too! 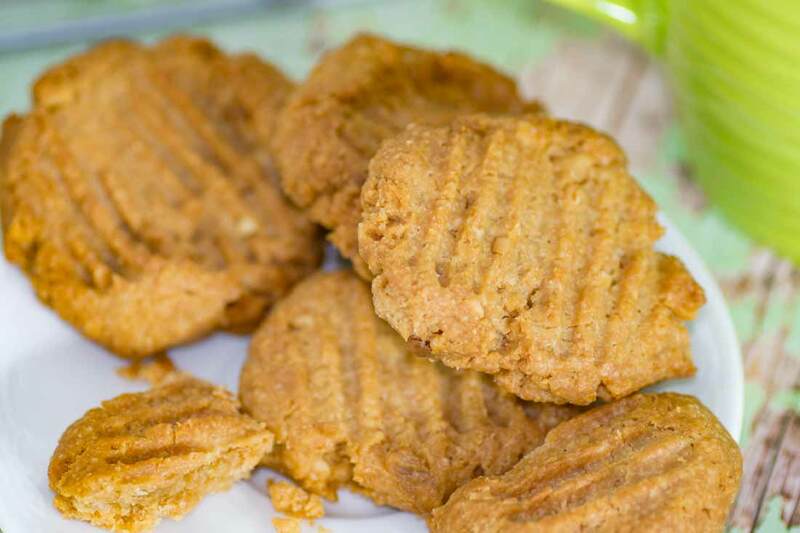 Natural Oily Peanut Butter makes a great ingredient in low-carb biscuits and cookies. Especially when it’s combined with the extra fat of eggs, almond meal and the sweetness of xylitol. That’s how we came about these Peanut Butter Keto Cookies. We couldn’t publish our favorite Keto Cookies without including the iconic Snickerdoodle. 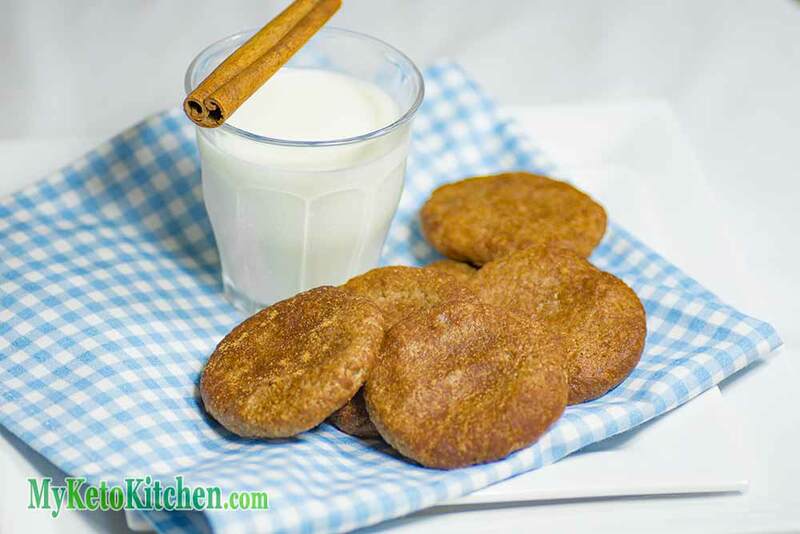 They’re actually not that hard to make low carb, with walnut butter and almond meal amongst the other traditional snickerdoodle ingredients. Click the image to see how they’re made. The Generic Chocolate Chip Biscuits from the supermarket was my all time favorite as a kid. So Gerri came up with these delicious Chocolate Chip Keto Cookies loaded with Sugar-Free Chocolate Chips they’ll go down a treat. Macadamia Nuts are the fattiest, ketogenic nut that you can get your hands on. Macadamias make versatile nut butter and are a fantastic LCHF ingredient for making delicious low-carb cookies. Be warned Macadamia Nuts are delicious and contain 76 grams of healthy fats with only 5 grams of net carbs per 100gram. Get Salted Macadamia Nuts to snack on and Unsalted “raw” Macadamia Nuts for cooking. While these tasty wafer cookies make a great snack on their own, they’re also a delicious accompaniment to our Dairy Free Low Carb Coconut Ice Cream or our Ketogenic Chocolate Ice Cream, delicious! Not only are all of these recipes keto but all the cookies are gluten-free. What makes these gluten-free cookies? Being a keto cooking site we don’t use any flour at all, and that’s where gluten comes from. So not only are our keto cookies gluten-free, but all of our baking recipes are gluten-free. Go here for more delicious Keto baking recipes. 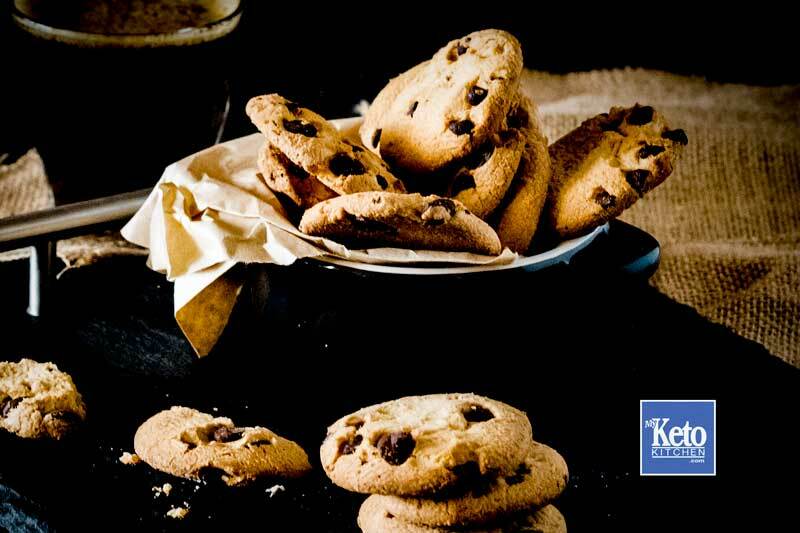 We hope you like our collection of Keto Cookies Recipes, stay tuned for more. and the layout of your recipes, especially the macros info just love them, but would love to see more crackers!! i had to give up all my multigrain ,among a 100 other things!!!!…. :-[ but any ways, recipes with nuts , seeds and all that good stuff. We have three flavors of Low Carb Crackers; Sesame Sea Salt, Flaxseed, and Cracked Pepper.